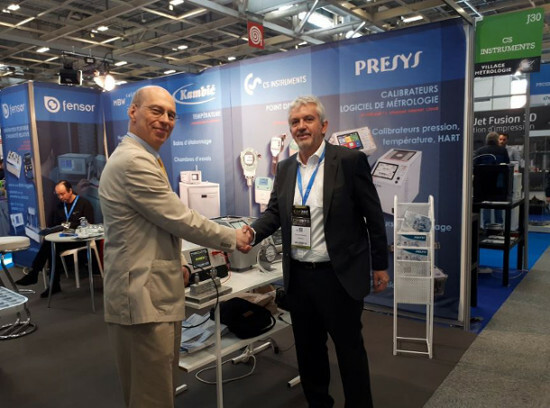 Presys, a Brazilian manufacturer and distributor specializing in measurement instrumentation and manufacturing systems, has selected Trescal, the worldwide specialist in calibration services, to provide calibration services for customers in North America, Europe and Asia. Trescal will perform calibration and repair services for Presys instruments, particularly for those requiring pressure and temperature calibrations. The services will be carried out either in Trescal laboratories in France, Germany, Spain, Italy, USA and Singapore or on customers’ sites by qualified and trained Trescal staff in compliance with applicable standards and technical specifications defined by Presys. The agreement which took effect on April 1st is valid for a period of three years. “Providing a repair and calibration One-Stop Solution for our international customers is a necessary path for a successful and sustainable growth. We are proud to count on Trescal network of laboratories for providing such professional services”. Marc Vantournhoudt, International Sales Manager, Presys. “We are happy that Presys has chosen Trescal as its calibration and repair service provider. Through our international network of laboratories, we are able to meet the expectations of Presys, offering our customers a unique geographical coverage and a high quality service based on a recognized expertise". Trescal, international specialist in calibration provides a broad range of services for the test and measuring equipment market. Trescal are represented in 21 countries: Austria, Belgium, Brazil, Canada, Czech Republic, Denmark, France, Germany, Italy, Luxemburg, Mexico, Morocco, Singapore, Spain, Sweden, Switzerland, the Netherlands, United Kingdom, United States, Romania and Tunisia. Supplementing the standard technical services (verification, calibration and repair of T&M instruments), Trescal offer their expertise for the implementation and acquisition of measurement systems, customized equipment pool management software solutions, metrology and technical support, and training. Trescal operate in +90 owned calibration laboratories and employ over 2,400 people across the world. Trescal service 35 000 customers in various sectors such as Defense, Aerospace, Aeronautics, Automotive, Power Generation & Utilities, Electronics Manufacturing, Communications and Medical & Chemistry. Trescal’s Pro Forma sales reach +235 million Euros.